GIVE THE GIFT OF A GREAT WORKOUT! Need a gift for someone but don’t know what to buy? 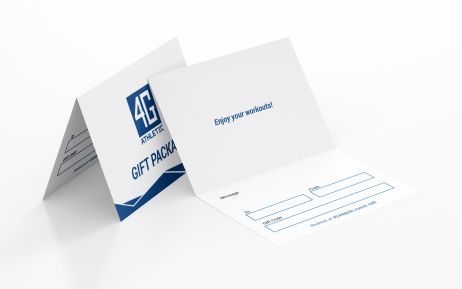 A 4G Athletic Gift Package is the perfect way to say Thank You, Happy Birthday, Congratulations, or just because! Gift Packages allow the athlete to chose the workouts they want, when they want! Click below to Print or Email a Gift Package today!